Gift Cards are available for delivery if being included in a Gift Basket, Cakepop Box or Cakepop Bouquet. They can also be sent via mail. Make someones day — give them a gift of happiness with a Cupcakes101 Gift Certificate. Several denominations available. 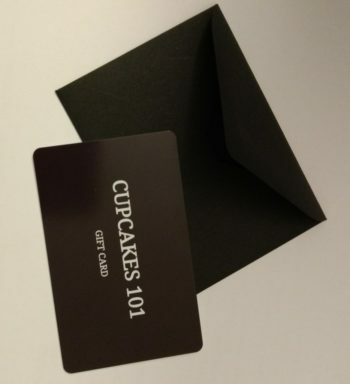 Use online or at Cupcakes101 shop.